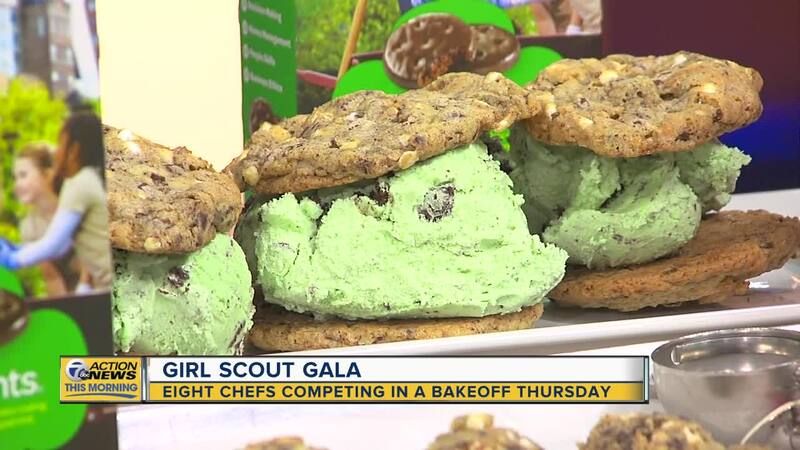 DETROIT (WXYZ) — Girl Scouts of Southeastern Michigan (GSSEM) will host its Annual Cookie Gala, where eight of Metro Detroit’s finest chefs will compete in an elaborate bake-off using a designated Girl Scout cookie as the main ingredient. In its 17th year, the Cookie Gala supports leadership development programs and activities for girls. The Gala is scheduled on Thursday, March 28 from 6:00 p.m. until 9:00 p.m. at the MGM Grand Hotel Ballroom in Detroit. Cookie Gala attendees will sample and vote on cookie creations while sipping signature Cookie Cocktails and bidding on silent and live auction items. Chefs for this year’s cookie competition reign from the Big Rock Chophouse, Crispelli’s Bakery and Pizzeria, Detroit Cookie Co., Fifty-One O One, For the Love of Sugar, Holiday Market, MGM Grand Detroit and Treat Dreams. Chef’s with winning dishes will receive one of four awards: Audience Choice, Judges Choice, Girl Scouts Choice and the CEO’s Choice.